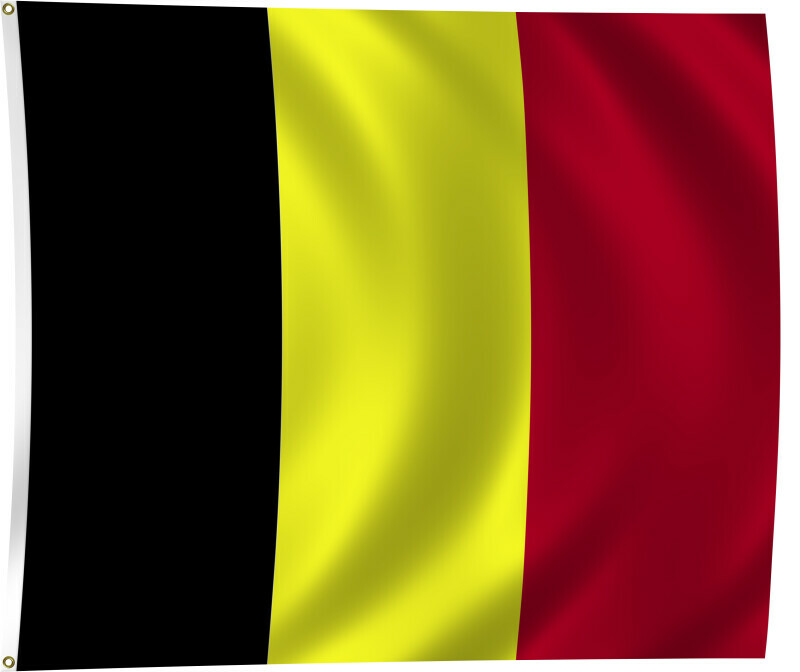 Color flag of Belgium. Three equal vertical bands of black (hoist side), yellow, and red. Flat color and black/white versions of world flags are available on the Clipart ETC website.